I hope you are all doing well? You might have seen that I am not so chirpy at the moment due to having surgery and feeling really poop but I really wanted to get this post up for you all because it is for such a great cause. I was recently contacted by Macmillan Cancer Support and I literally jumped at the chance of working with them as soon as I saw the name Macmillan. More than 1 in 3 people in the UK alone will develop some form of cancer during their lifetime...it is something that will or has affected us directly or indirectly and needs to be beaten once and for all. 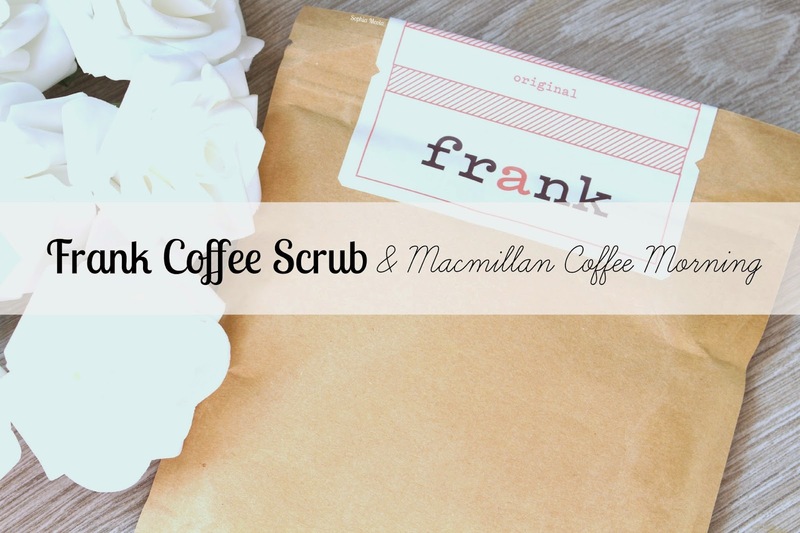 Macmillan's annual World's Biggest Coffee Morning is back and this year cult coffee scrub Frank Body is on board to encourage beauty junkies to get behind the fundraiser which lat year raised £20million, to help ensure no-one faces cancer alone. The very first Macmillan Coffee Morning took place 24 years ago and thanks to the brilliant baking skills and generosity of millions of fantastic fundraisers; Macmillan has raised over £113.5million to help those affected by cancer. This year's event takes place on Friday 26th September, which people across the UK set to get together with friends, colleagues or neighbours to hold a coffee morning and raise money for Macmillan. I know a handful of people who are arranging Macmillan Coffee Mornings this year which are set to take place Friday 26th and Saturday 27th. Unfortunately, due to my recent surgery I am unable to attend any events this year but I will be donating like I do every year and throughout the year. Like Macmillan, Frank understands that a good coffee morning can do us all the world of good. 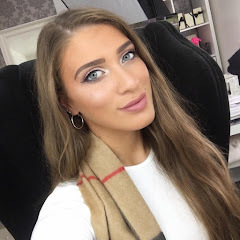 So to inspire fundraisers ti give their skin a treat in preparation to Coffee Morning, they're encouraging people to try their all-natural, organic, vegan and animal friendly coffee scrub in the shower before they take on the hosting duties. 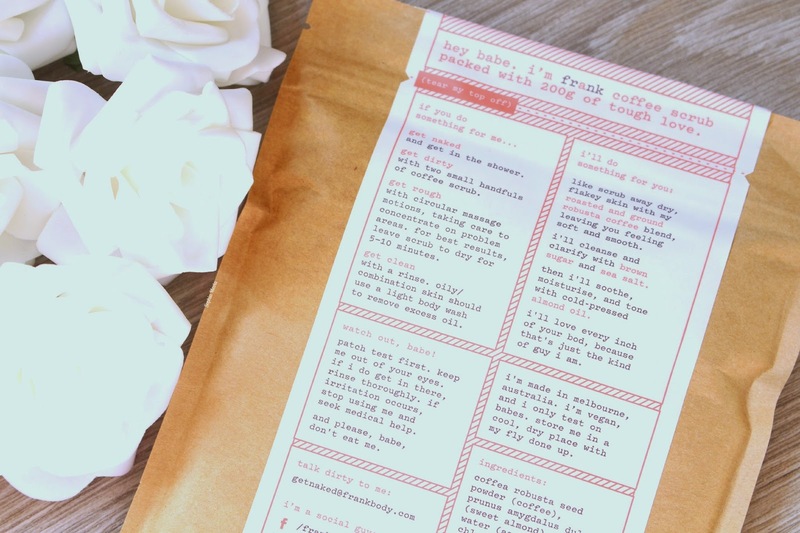 The Frank Coffee Body Scrub has been something I have seen prop up around the blogging and vlogging community a few times now and I have always wanted to give it a try. 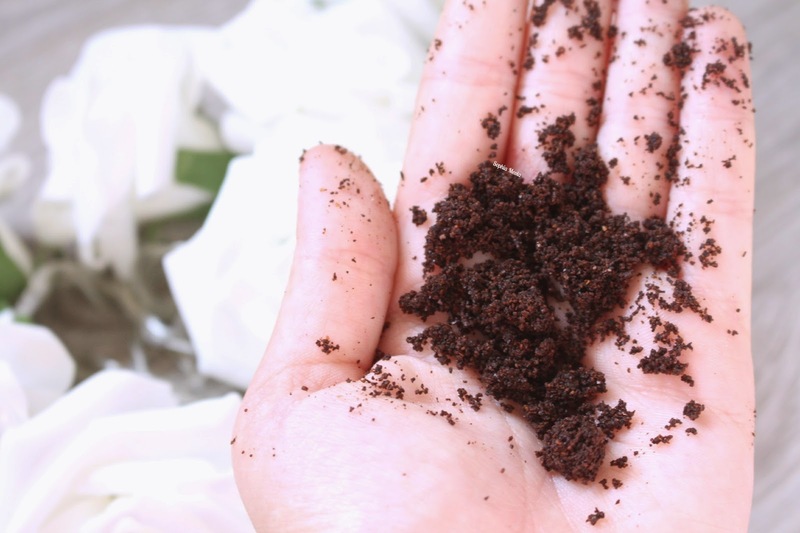 Frank uses only the freshest ground robusta coffee beans in their scrubs, so whether you're looking to prolong a summer tan, polish your pins or soothe a range of skin conditions such as stretch marks, eczema, acne and psoriasis - Frank believe their coffee scrub is sure to be an instant hit. Prices at only £11.95* with free world wide delivery, the coffee scrubs are available in three variations - sweet almond and orange, coconut and grapeseed or cacao, which are all sure to leave skin feeling supple and invigorated. the highly concentrated caffeine in Frank products is thought to stimulate blood-flow and circulation, which is particularly effective in reducing the appearance of cellulite. I had the opportunity to try out the sweet almond and orange variations and oh my goodness it was such a glorious scent. You could really smell the fresh coffee beans with hints of sweet almond with a handful of orange! It is the perfect scrub to use all year round as the scent is sweet and fresh for the summertime but also fall and winter appropriate. For more information on how to host your own Coffee Morning head over to the Macmillan website where you'll be able to register to host a Coffee Morning, find celebrity recipes and hits and tips on how to make your Coffee Morning one to remember. I hope you all enjoyed this post! 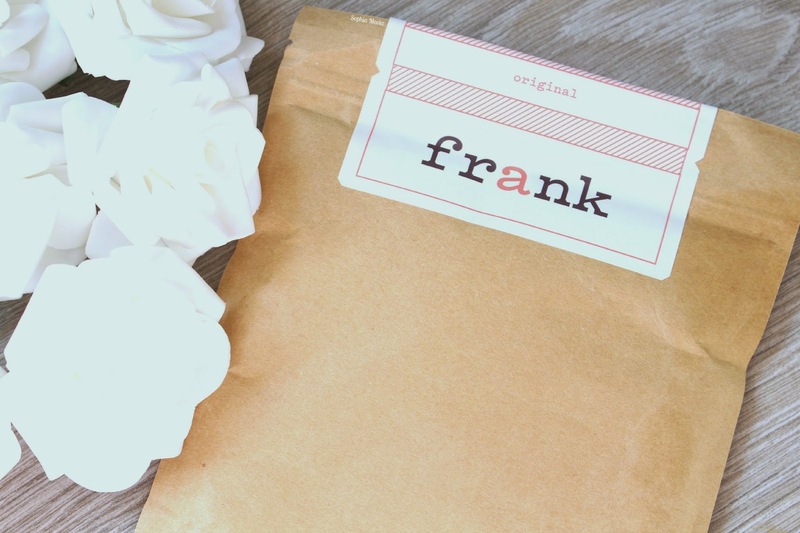 Have you given Frank Coffee Scrub a try before or would you consider it? Also, will you be getting involved in this years Macmillan Coffee Morning? Like always lovelies, if you have any questions, requests or if you just want a chat you can contact me on my social media or leave me a comment below. I love hearing from you all and I make sure to read every single comment…they really make my day! This scrub sounds great! seen a few reviews on this, need to try it. Interesting that I just read this, I ordered my first Frank yesterday! This sounds like a wonderful scrub. I've cut down on my caffeine intake so it'll be nice to have something coffee related in my life. Just by reading this post I can already smell coffee in my room and craving for it.